Light Work will present “Where Objects Fall Away,” an exhibition spanning the career of photographer and book artist Raymond Meeks, from Nov. 3-Dec. 17 in the Kathleen O. Ellis Gallery at Light Work, located at 316 Waverly Ave. Meeks will deliver a gallery talk on Thursday, Nov. 13, at 5 p.m. A reception will be held from 5-7 p.m. on the same evening. All events are free and open to the public. 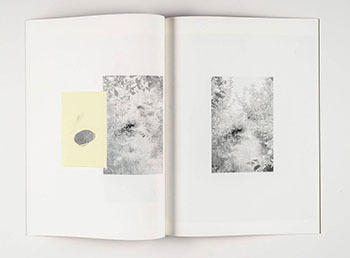 Meeks has collaborated with artists Deborah Luster, Wes Mills and Mark Steinmetz. His books and pictures are housed in numerous public and private collections, including the Bibliotheque Nationale, Paris; George Eastman House; Corcoran Gallery of Art; and the Howard Stein Collection. For more information about Meeks and his work, visit http://www.raymondmeeks.com or http://www.orchardjournal.com. A video interview with Meeks can be viewed at http://www.lightwork.org.